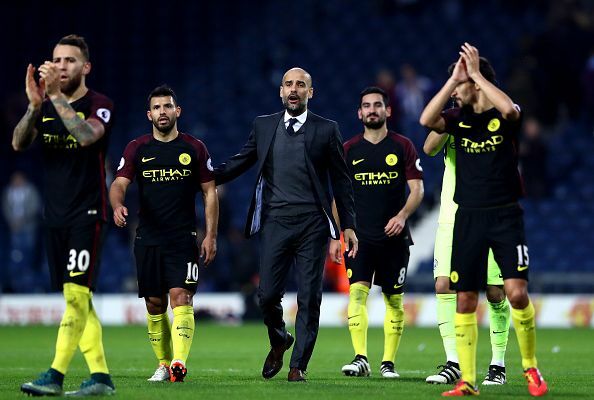 As the autumn leaves of October rustled their goodbyes, Premier League viewers were treated to an action-packed Saturday to welcome the winter. After seven matches, 20 goals, monster headers, angelic curlers, and gratuitous gaffes, three teams sit level on points at the top, revving their engines in preparation of what promises to be the closest title battle in years. And the weird thing was, with all that action, a goalless draw was the most entertaining match of the day. This was supposed to be the start of Man United’s revival. With a tough set of fixtures partially navigated and partially stumbled through, Jose Mourinho’s men would have hoped to capitalize on a kinder patch where they faced bottom-half teams in six of the next eight games. 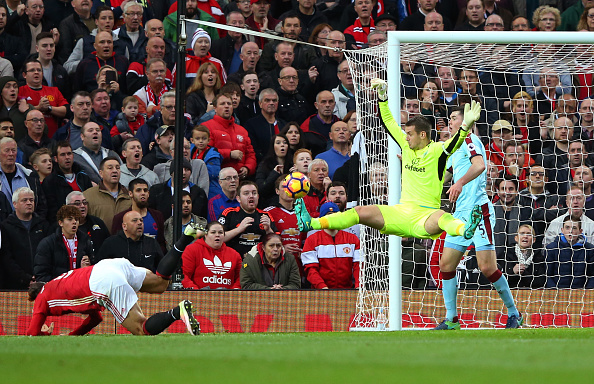 A home game against Burnley kick-started this run, and while United played some good football, Burnley keeper Tom Heaton channeled his inner superhero to keep the hosts at bay. First came the strong and secure save from Mata’s swivel and shot inside the box. This was quickly followed by a bold rush off the line to smother Zlatan’s shot when he was clean through. When the Swede was in again a few minutes later, Ben Mee headed his shot over the bar. Then came the pick of the first half saves: when Lingard met a fizzing cross with a powerful header, Heaton leapt like a coked-up kangaroo to claw the ball past the post. The second half was just more of the same. Heaton beat away everything that came at him, was brave and solid on set pieces, and was ably supported by Burnley’s centre-halves who had excellent games. His best save, however, came in the 61st minute. With the ball suspended in the air and Zlatan readying a physics-defying volley, Heaton spread himself like an anthropomorphic ninja star, parrying the shot with his right arm and sending Old Trafford into a Tourette tizzy. When the final whistle blew, boos cascaded down from the terraces. United’s kinder set of fixtures had not started kindly. This United performance would have resulted in a victory on most other days. Their midfielders and attackers looked more in sync than in recent games, engaging in quick one-twos and getting shots away at will. But points and not positives were the order of the day today, and as Mourinho was banished to the stands and Herrera was banished to the showers, United struggled to find much of either. This was unfamiliar territory even for relegation-hardened Sunderland. Two points from nine games, no wins in the league, no clean sheets, only six goals scored…foreboding sounds of the Grim Reaper’s scythe being sharpened were already renting the air. The game against Arsenal saw lots of effort, a golden window of hope, but really a lot more of the same nothingness. The Gunners were looking to extend their unbeaten run to 14 games and they dominated the play right from the off. Oxlade-Chamberlain proved an able replacement for the injured Walcott, attacking with swagger and tracking back with steel. In the 17th minute, he showed an impressive burst of speed to beat his marker and float in a pin-point cross that Sanchez diverted into the net with a dazzlingly darting header. Twenty minutes later, the Ox was at it again, brilliantly lofting a first-time pass into Ozil’s path; the German’s lob was weak and Pickford was able to back-peddle, save, and keep Sunderland in the game. That saved paid off when Sunderland won a penalty in the middle of the second half. Duncan Watmore profited off an unusual bounce, outran Mustafi, side-stepped Cech, and was upended by the Arsenal shot-stopper. Jermaine Defoe, the man who had scored four of Sunderland’s six league goals so far, stepped up and buried the spot-kick. Arsenal had dominated and missed chances, Sunderland waited and took theirs. But far from wallowing in self-pity, Arsene Wenger’s men stepped up the gears in response to the equalizer and emphatically put the game to bed in the next ten minutes. Sanchez escaped his markers brilliantly near the centre circle, powered forward and spread the ball to Gibbs who floated in a great cross for Giroud to volley home. Two minutes later, Ozil swung in a corner that Giroud flicked into the far corner for his second and Arsenal’s third. And before Moyes could blink, three became four as Gibbs hit the post and the ball rebounded to Ramsey whose scuffed shot found Sanchez’s twinkle toes to prod in. Giroud’s two goals from his first two touches and Ramsey’s energetic involvement after coming on illustrated the positive mood and confidence that is running through Arsenal’s squad at the moment. November has historically been a tough month for them, and tricky fixtures against Tottenham and Man United await. Not for the first time, Wenger will be hoping Arsenal’s form lasts through the winter. Now this seemed much more like the early weeks of the season for Man City. All nuts and bolts screwed into perfection, playing out of defence effortless rather than error-strewn, and Aguero’s Midas touch taking care of the rest. In the 20th minute, Aguero ran onto a slick no-look pass by Gundogan and shot powerfully across goal to beat the West Brom keeper. Seven minutes later, Super Sergio picked up a loose ball outside the box before smashing it in. Few other players could generate that sort of pace on a curled shot, and unfortunately for Pulis’s men, Aguero was one of them. The Aguero-Gundogan axis swapped roles in the second half. When Aguero received the ball just outside the box and slalomed sideways across tackles, it looked to the entire world that he would either shoot or pass it wide. Instead, a clairvoyant reverse-dink left Gundogan one-on- one with the keeper, and the German international made no mistake, slotting the ball between the keeper’s legs for City’s third. When the match was in its final furlong, City came up with a real thing of beauty. A quick-fire series of laser-guided passes took the ball from the keeper to De Bruyne on the wing, and the Belgian’s low pass was perfect for Gundogan to sweep in his second. With normal service now resumed for City, Guardiola will hope his longest winless streak record doesn’t get broken anytime soon. When one sees Alberto Moreno in the Liverpool line-up, one mentally makes a note that Klopp’s men will have to outscore the opposition to win the game, for a clean sheet is most likely not forthcoming. And true to his worth, Moreno was impressive in attack and iffy in defence against Crystal Palace. The Spanish full-back was almost a quasi-winger throughout the game, available for the pass outside, equally comfortable in providing a fizzing cross and a cushioned pass. It was the latter that fell to Can in the 16th minute, and the German’s shot took a deflection before nestling in the back of the net. The next four minutes encapsulated a Dejan Lovren show. First came the pantomime, a horribly skewed clearance falling to McArthur to head past the Liverpool keeper for Palace to equalize. Then came the bildungsroman, a towering header after swatting away his marker to put Liverpool back in the lead from a Coutinho corner. As much as Liverpool continued to thrill in attack, they terrorized in defence. A simple lump up the field found Benteke, who headed down for Zaha to attack. The speedy winger clipped it into the box for McArthur to head in his and Palace’s second. And so the Reds continued their ‘outscore to outsmart’ strategy. On the cusp of half-time, Joel Matip rose like freshly made dough to rattle in a header and Liverpool’s second goal from a set piece. 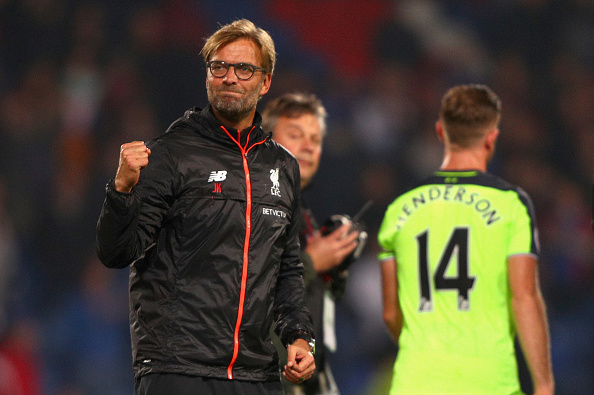 The second half continued to evidence the Liverpool yo-yo - they looked like scoring every time they attacked and they looked like conceding every time they defended. Karius saved well from Benteke on one occasion, and the lanky Belgian fluffed his lines on another. In the 70th minute, the ‘will-they- won’t-they’ was finally put to rest by Firmino who ran onto a sumptuous Henderson through ball and chipped the keeper for Liverpool’s fourth. Tottenham definitely missHarry Kane. 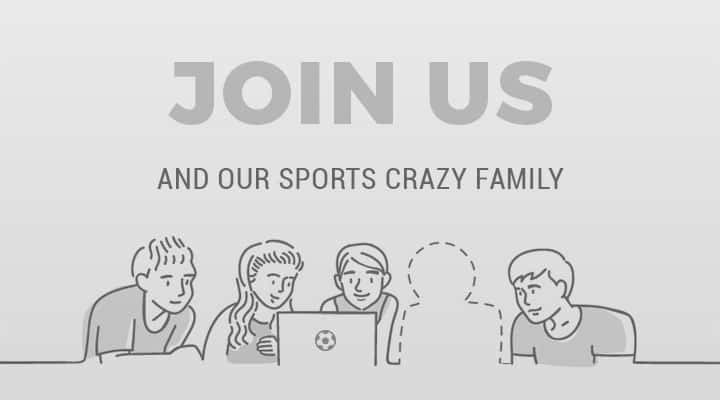 Sure, Son is tricky and quick, Alli makes great runs and great decisions on the ball, Lamela has a sweet strike on him, and Eriksen relentlessly pulls those midfield strings game after game. But without the mean, lean, all-round striking machine that is Harry Kane, Spurs lack the cutting edge that saw them score 70 league goals last season. Against Leicester, there were enough chances for the home side. Alli hit the bar with a rasping shot, Vertonghen rattled the bar again with a great header, and there were multiple goalmouth scrambles that Schmeichel had to deal with. But besides Janssen’s penalty, Spurs were found wanting in decisive goalmouth penetration, and it came back to haunt them. A defensive mistake at the start of the second half saw Vardy race into the box and square an intelligent ball to an onrushing Musa to stab home. 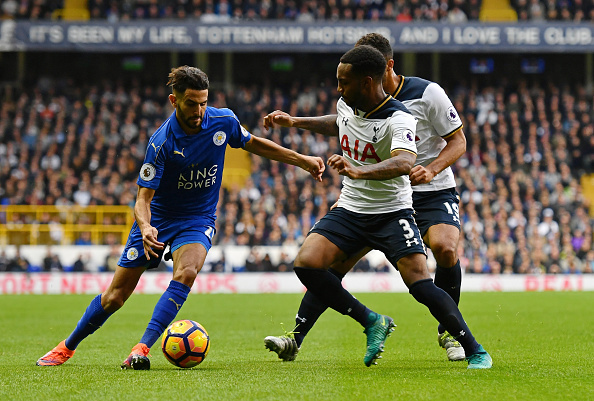 Considering that this was Leicester’s first point on the road this season, Tottenham will definitely be the unhappier of the two sides with the draw. All things considered, Pochettino’s men still have the best defence in the league by far and are the only unbeaten team after the first 10 games. If their talented but Kane-bereft side can find its goal-scoring rhythm against Arsenal next week, all these draws are sure to be forgotten. Long suffering and recently recovering supporter of Arsenal FC. Apostle at the shrines of Dennis Bergkamp and Tomas Rosicky. Will do circus tricks for Twix bars. Stop talking tactics, he doesn't know that much about football. And he never said the circus tricks would be good. Where's that Twix? In his off-time, can be found rambling at BigFourZa and @Nickspinkboots.